In 2004, Hungary launched its film tax incentive. Estonia, Czech Republic, Lithuania, and Poland followed suit. Soon, international producers and filmmakers were flocking to Central Europe to take advantage of the generous support offered by tax incentives, cash rebates, national grants, and tax waivers, with each country offering its own unique plan for international producers. Central Europe soon became, and remains, a hotbed for international film productions, now attracting major Hollywood, Western European and UK film and TV productions. Though the various incentives offered in Central Europe remain useful tools for international filmmakers, rising costs of local crew and production services have resulted in low and mid-budget producers turning further east, where all-around production costs remain around one third cheaper than filming in Hollywood destinations. Countries such as Bulgaria, Romania and Serbia have distinguished themselves in this respect. You may call it “backwards” or “undeveloped,” but to us Albania is untouchedandemerging; at the hands of its Socialist dictator Enver Hoxha, Albania remained internationally isolated for most of his 50-year rule. After the collapse of its Socialist government in 1992, the country was plunged into economic and social unrest through the end of the 1990s. This means that for nearly 60 years, the idea of foreigners filming in Albania was completely improbable. In the last two decades, as Albania has come to the fore after Socialist rule and its collapse, considerable financing has gone in to improving Albania's infrastructure, from hotels to roads, and the country has caught up to the rest of the region fairly quickly. Its capital, Tirana, is as modern as any in the Balkans, and the country's beautiful Ionic and Adriatic coastlines, Albanian Alps and forestland remain largely unblemished and offer the same views found in other, much more expensive areas of the Mediterranean. Many productions that come to Eastern Europe come either to use locations that are relics from the Soviet Union or to – somewhat unconvincingly – double Eastern European cities for North American or cities in Western Europe. 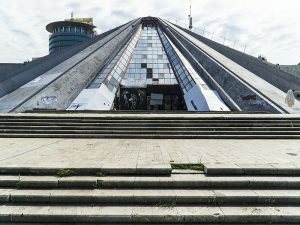 Albania, of course, offers the usual Soviet-style relics, but because of its rich history also offers a variety of locations which fit a number of storyline scenarios. 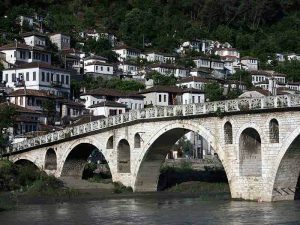 For instance, Berat, the “Town of One Thousand Windows,” in North Albania, with its stunning Ottoman architecture and mosques, easily doubles as the Middle East. The coastline in Southern Albania passes for Greece or southern Italy. 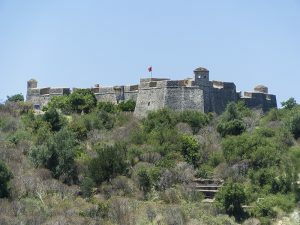 Last, the country's large collection of Byzantine-era castles would make great locations for a Game of Thronesepisode. 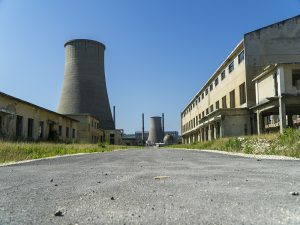 There are also still some small towns which have not changed in the since the end of Albania's socialist-era, such as Rubik, Memaliaj and Cerrik, where cold-war period scripts can be shot with minimal set dressing required. The Albanian alps have been atractive for some of the productions companies until, such as the 2017 Albania-America co-production, Forgiveness of Blood, directed by Joshua Marston. As with any country with a budding international filmmaking scene, shooting permits and arranging shoots which might otherwise be complicated by bureaucracy elsewhere is much easier than Hollywood destinations. Albania represents a “Wild East” of sorts for filmmakers. 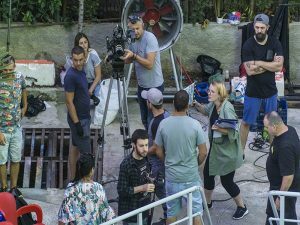 A recent example is legendary New York City film studio Troma Entertainment's shoot in Albania for their latest production Shakespeare's Sh*tstorm, a rollicking adaptation of The Tempest by William Shakespeare. The shoot marked the first time a major American studio has used Albania as a location, whereas previous productions have filmed in Albania as they had plots set in the country. For Troma's shoot, the Albanian Naval Forces provided a patrol ship with a full crew for several days of filming on the Adriatic Sea. Pioneer Media was able to arrange the permits for the shoot with relative ease and at a fraction of the cost of such high production in Hollywood locations. In addition to Troma Entertainment, this year Albanian filmmakers also collaborated with a Chinese production company on Balkan Bloodas well as a Greek production company on Holy Boom. In 2015, the German television series Alarm for Cobra 11 – The Autobahn Policefilmed an action-packed episode in Tirana, featuring Hollywood-level car flips and explosions. 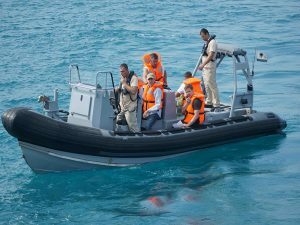 International production insurance is also easy to navigate, with local partners utilizing their own insurance and international crews obligated only to insure any international crew not domiciled in Albania. In short, the attitude of local producers and fixers is centered around what they can can do rather than what they cannot do, and that is a refreshing change of pace. Tirana is home to several large, modern and well-equipped studios and production facilities, capable of producing sets and rigging comparable in quality to the finest studios anywhere. In addition to sound stages, Tirana's studios can offer costumes, make-up, set construction, special effects, and catering. Filmmakers can access top-of-the-line cameras such as the ARRI Alexa, Red Epic, as well as the best lenses like Zeiss and Cooke. 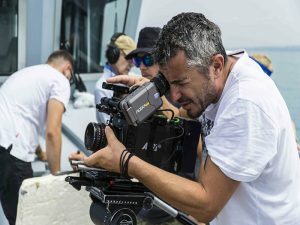 Albania's crew members, too, are professional and well-seasoned from years of working on film productions shot throughout Eastern Europe, as well as Greece and Italy. Troma Entertainment's legendary director Lloyd Kaufman said that his initial reticence about filming with a 90% Albanian crew quickly dissolved on his first day of filming this past June. “Next time, I would will not hesitate to film in Albania with an entirely local crew,” says Kaufman. Last, several post-production houses are located in Tirana and can provide visual F/X, color grading, sound design/mixing, and score composition. Once again, all of these services regularly come in at a third of the price for the same level of service found in Hollywood destinations. Depending on the topic of the production, Albanian production companies will provide additional financing for projects that are already funded in exchange for Balkan rights if international producers will cast one or two English-speaking Albanian actors in lead roles. 1. The film has an Albanian subject. 2. 50% of the film's dialogue is in Albanian. 3. A master copy is provided in Albanian (i.e. if shot in English, a final version must be dubbed in Albanian). Before the end of 2018, the Albanian parliament will vote on a film incentive that should include a 30% rebate on all foreign film that spend €150,000 or more shooting in Albania. The incentive will also eliminate VAT for films productions. When in place, it will be one of the most attractive incentives in the region. For these reasons, Albania is Pioneer Media's top pick for any international producer seeking one-of-a-kind locations as well as cost-saving production solutions. For more information about filming in Albania, contact us at media@mediapioneers.net.